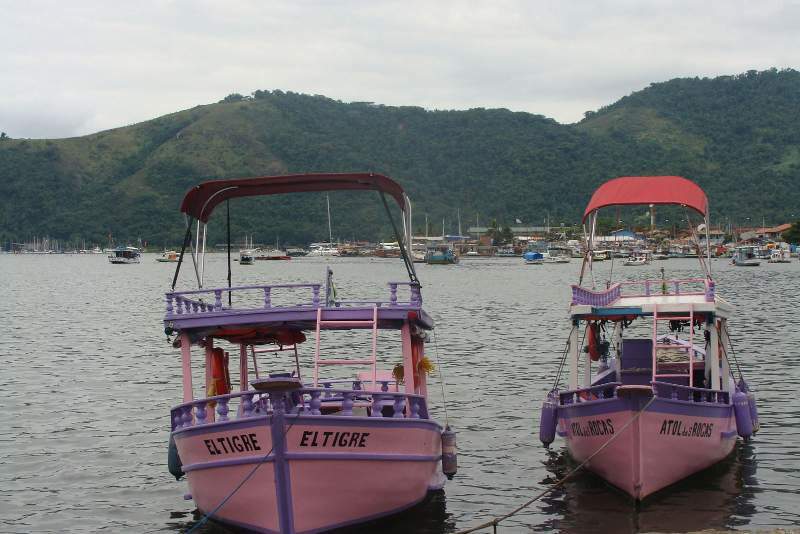 Paraty – French BBQ and “La Cucaracha” cat. Ok! Mamangua is great but humans are social creatures and need more than dingo to talk to. 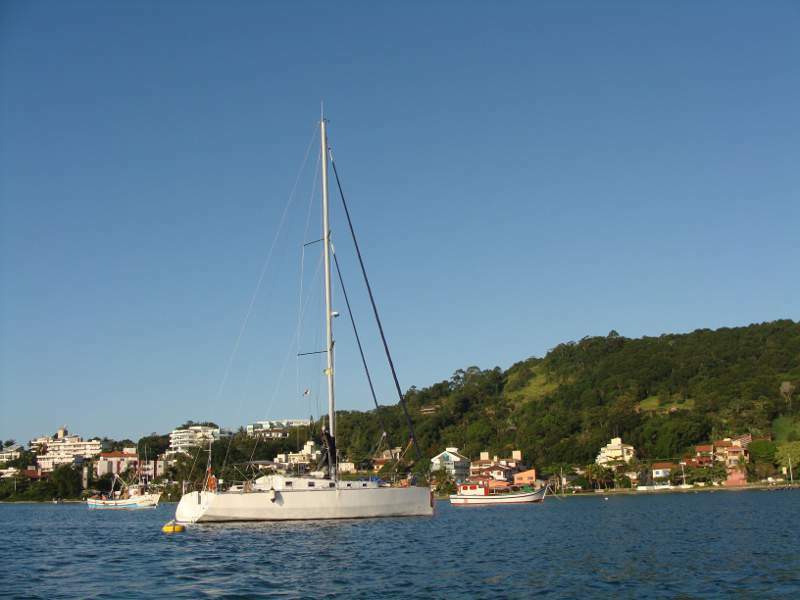 We sailed to Paraty town and on the way met good friends of Olivier anchored off the beach just before Paraty. To our delight we were asked to join them for a BBQ. What a treat – Fresh steak – medium rare, on the bed of rice with green salad, followed by cheese and Italian tiramisu desert. That is what I call luxurious. We have met the Sailing Cat who could sleep on the beach than jump in to dinghy and come on board. He co-owned the yacht and acted in dog capacity checking on all intruders. There was an extra advantage we were told; having him meant no cucarachas on board. 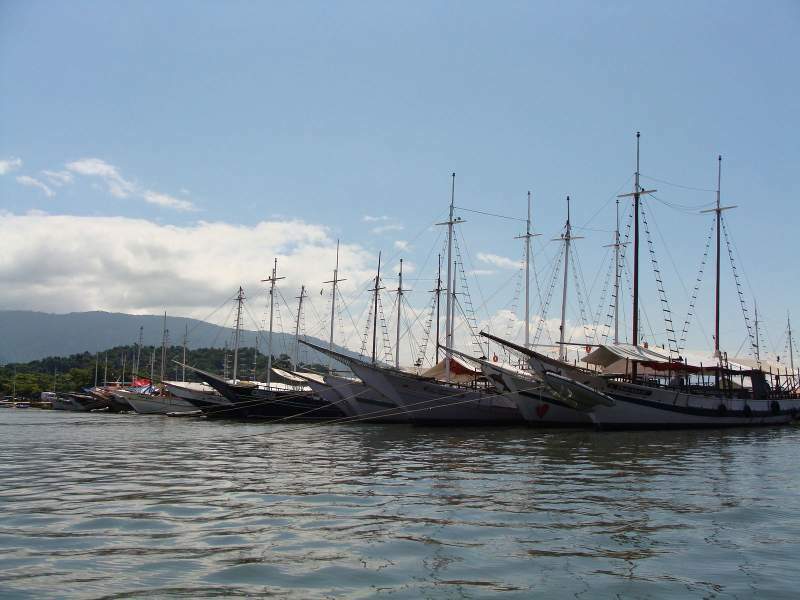 We have arrived in Paraty on the 31st March. It was Easter and it turned out that all local bars and restaurants had WIFI connection. First, you go to the reputable place (recognizable by the prizes and typical bon ton clientele) ask if they have WIFI. This is usually follow by affirmative – “Of course, we have it, sir”. Than you ask what is the Password? This is given to you with no objections. Than you sit down open your laptop, iPod, iPad, or OrangePad (local fruit of the swindle market) order your beer while trying to connect – only to be told that the WIFI is temporary (last two years) out of order – follow by 10 Euro bill for your 25gram pitiful glass of piss. There’s A Awful Lot Of Coffee In Brazil yet one Espresso at 4.50euro. We had a lot of shopping as we were going to non-stop sail for next few days. Carrying the supply on the way back to the boat we have stopped for coffee in one of the local bars. Two espressos set us back nine euro (sorry did not feel like tipping the waiter). By the way it was clear to me that pirates and Frank Sinatra go hand in hand. 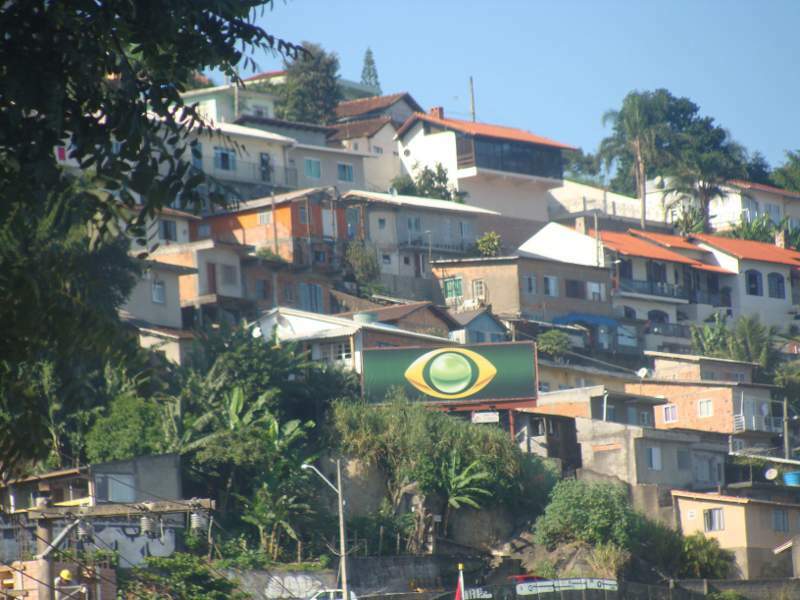 Both Easter Sunday and Easter Monday were spent either on boat or wandering streets of Paraty eating in Kilo-restaurant where the food is sold per kilo rather than quality – but at least you do not get ripped off. 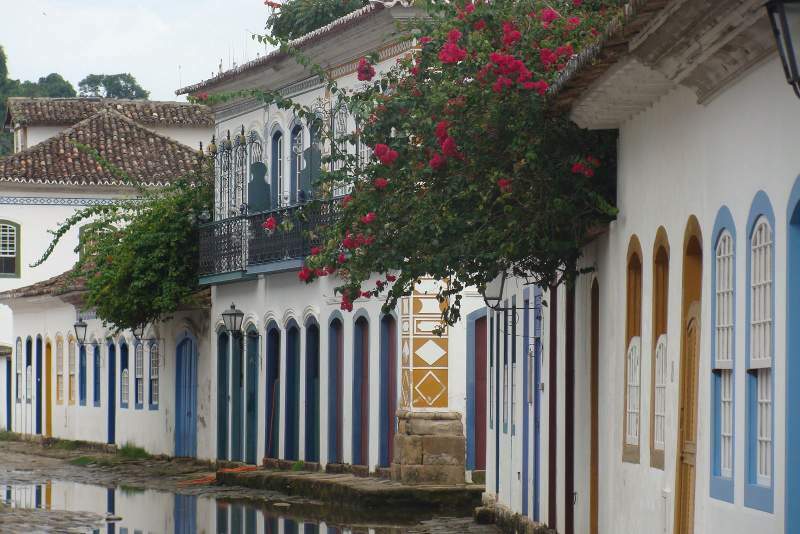 Paraty is a typical holiday town and judging by the restaurant prices – well overpriced. It made much better sense to by lots of lovely fruit and vegetables at the local markets and stuff ourselves senseless on board rather than try sleazy bars or restaurants downtown. On the 4th of April Olivier went back to Rio to pick long awaited Wind Generator from his friend who has brought it from Europe. During his absence more boats from France arrived – but there were no more French BBQ’s. 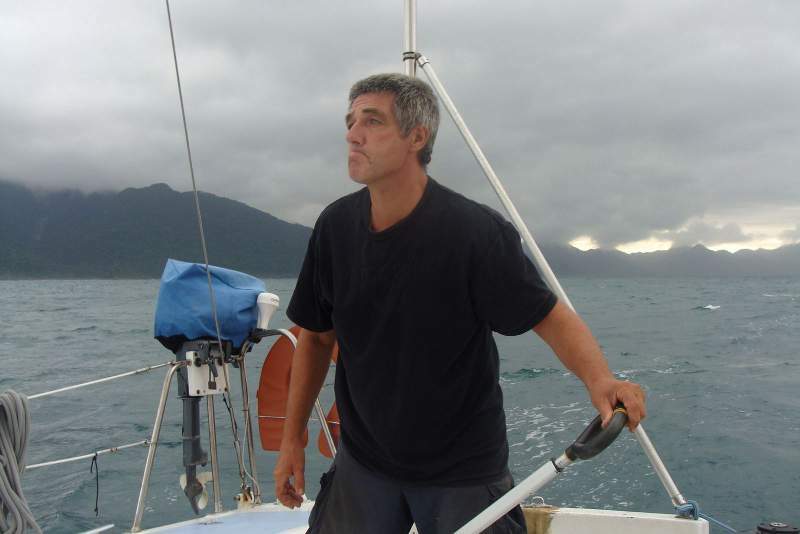 One of the boats consisted of Philip on his yacht AZAD which I have met in Rio. Hi had brought with him his girlfriend and apparently they took long time getting to Paraty. It was simply explained that they stopped on every nice beach on the way there. Not blaming them as the only beach we visited was flooded with rain. I personally think there were some other reasons beside beaching. Olivier returns with his new Turkish Friend ( wind generator ). Celebrating with ACAI in local sugar palace. We promised ourselves to feat it and go – would it work???? Sorry sight – lovely « enjoy » sitting, doing nothing, and as the famous proverb say: » no money – no problem, no work – no problem, no women – no cry, NO WIND – BIG PROBLEM ». Limy’s ). 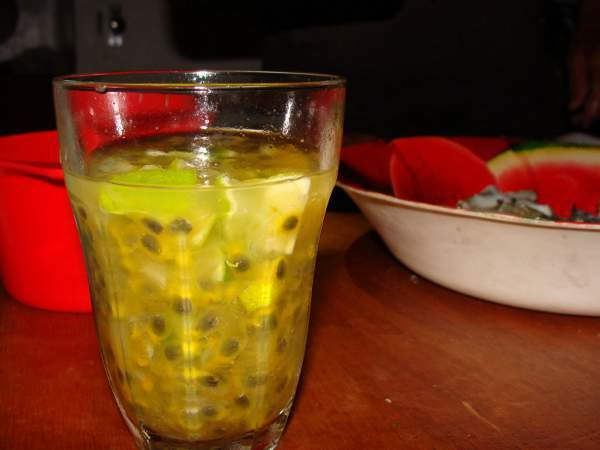 It is very heavy in alcoholic octants and since we have came across passion fruits we started adding them to this cocktail. 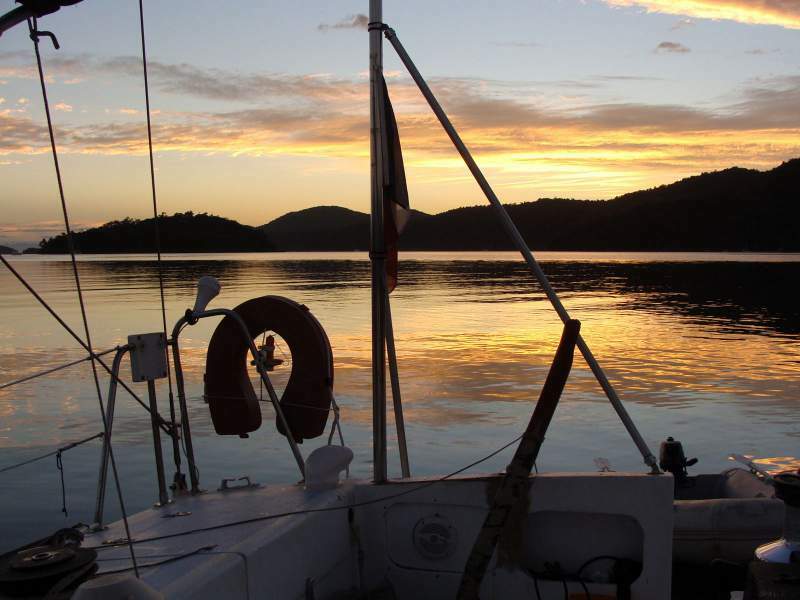 To make matters short all our guests asked for re-fills and some were spotted still circling their boats by early hours of the morning singing La Marseillaise in Polish (wonder why?). In the evening we went out to the local bistro for good bye evening with Philip and his girl. It’s morning low tide but we take some fuel and off to the south. Weather could not be better. Sunny day with little breeze slowly turning in to steady 15 knots northerly. 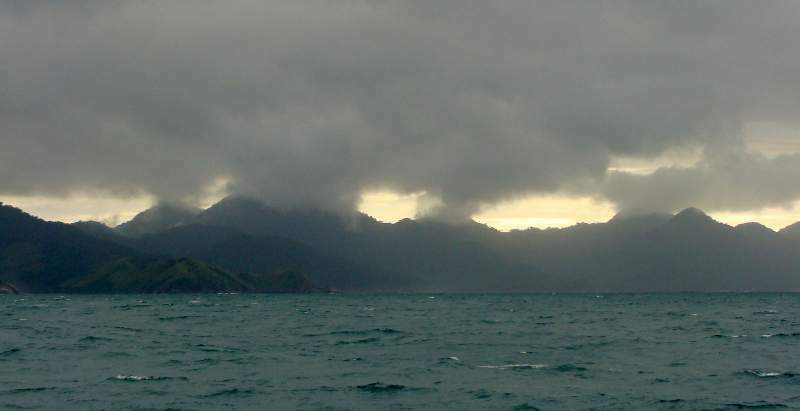 Ideal conditions together to our next destination in about 3 day and nights of continuous sailing. We set the watch at 4 hour intervals. Open Atlantic – what a view!!! Big serf and consistent wind at about 15 knots drives us south towards new destination of Ilha de Santa Catarina and its main port Florianopolis. Flying in the south direction at average of 10knots. 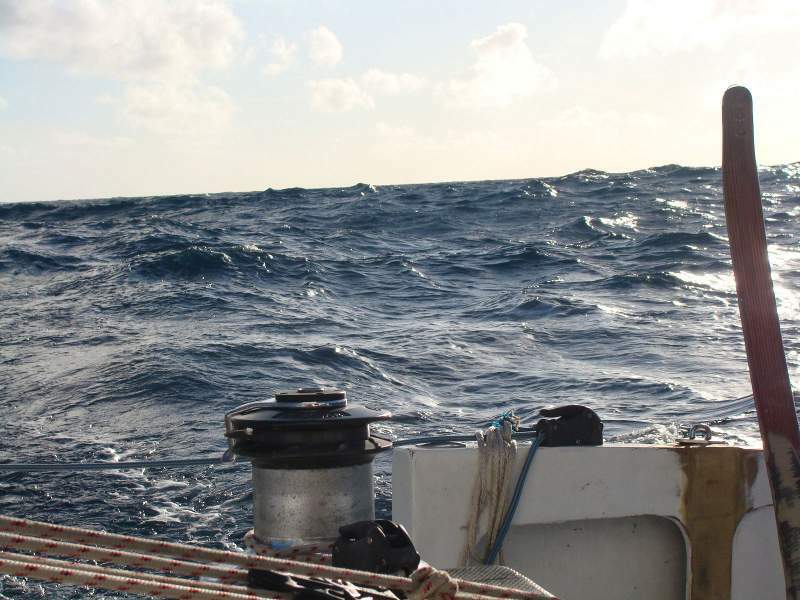 No land in sight murky day but the wind too direct behind us pushing us further from unseen land. Today at 4,30 in the morning we beat the record. Enjoy went at 14.9 knots. 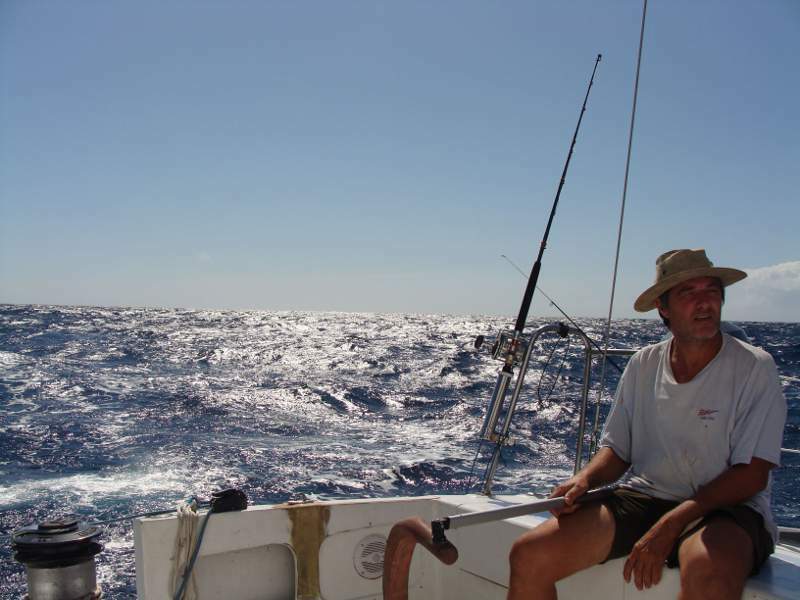 For the sailing vessel it is a lot and the feeling of sliding off the waves with a bit of surfing quite excellent. Pity the hour was so early and we could not see much. By about 15.00 we got to the Club de Yates next to Marina Blue Fox on Ilha Catherine. The first impression was rather disappointing. A few streets with usual European shopping centres. The Town Centre consisted of lots of little boot stores selling mainly rubbish. Huge bus station and couple of bridges joining Catherine Island with main land. Both apparently too low to let our boat through. There were some lovely yellow churches and a few post colonial buildings (yellow). Somehow I could not find even one pretty postcard at newsagents. Well it isn’t always that the name pairs with the contents.